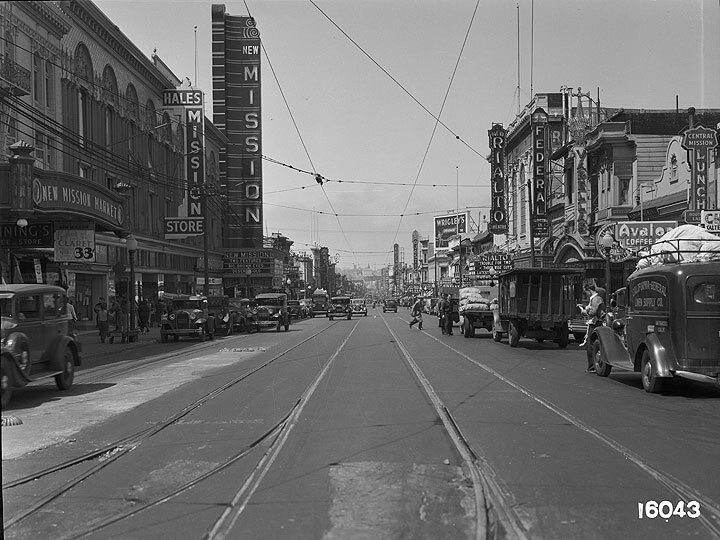 Streetcar track reconstruction on Mission from 22nd Street, July 27, 1936. 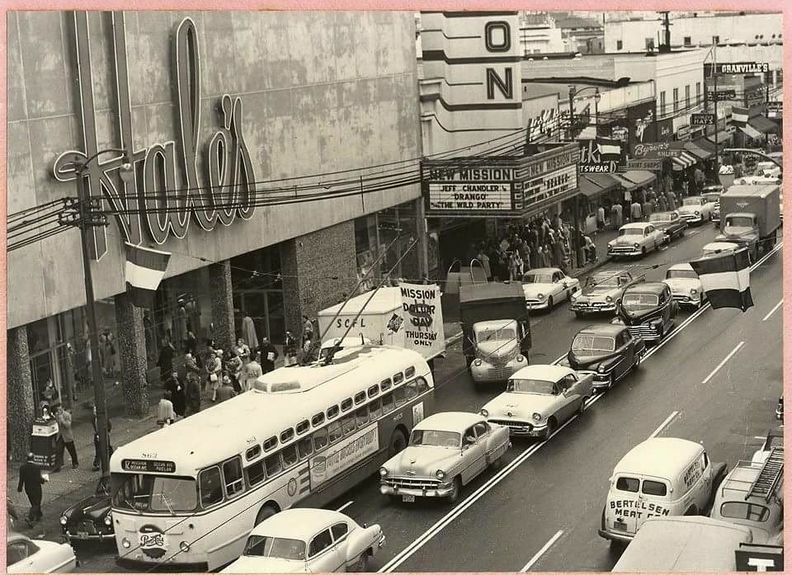 22nd and Mission Streets, 1950s. 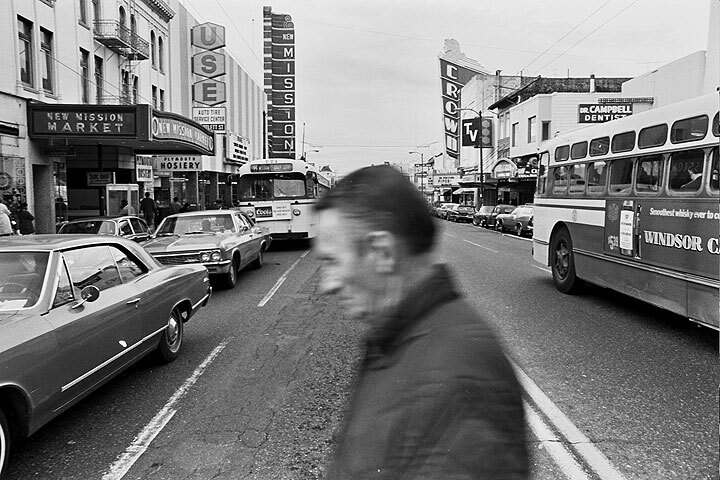 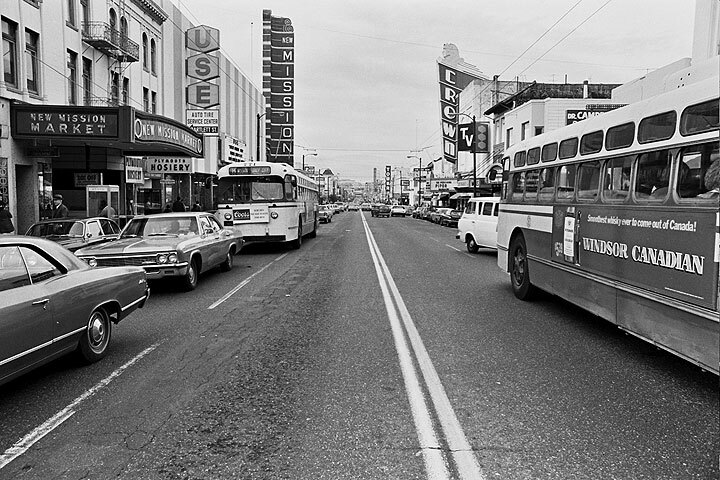 22nd and Mission looking north, c. 1966. 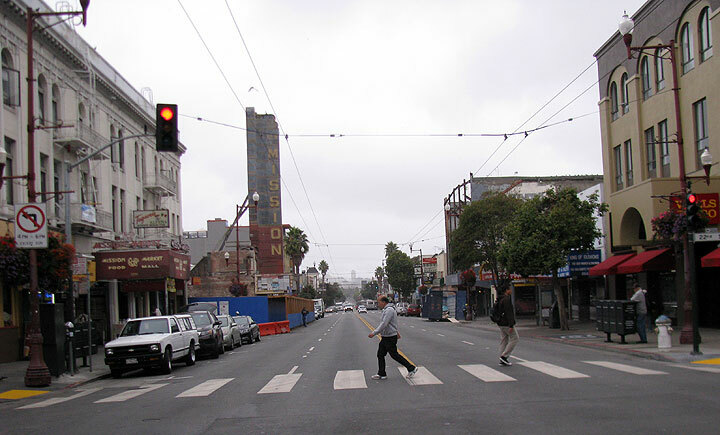 22nd and Mission, summer morning, 2013. 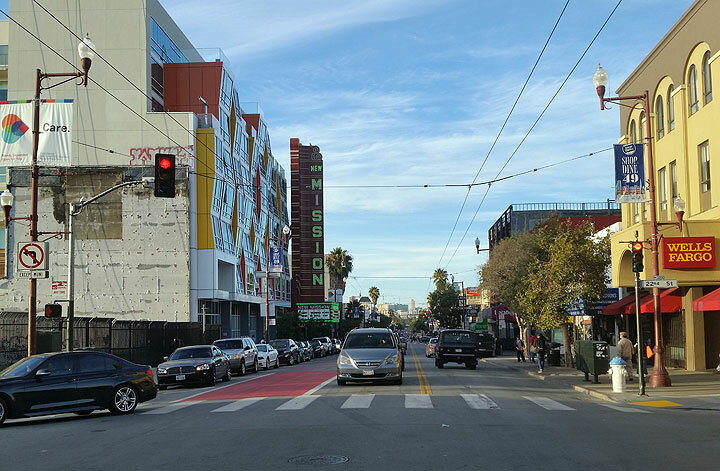 22nd and Mission, Oct. 2016, after a fire burned down the old Mission Market at 22nd earlier in 2016, and the new Vida condominium building is finished, and the New Mission Theater has been refurbished and reopened as a franchise of the Alamo Drafthouse. 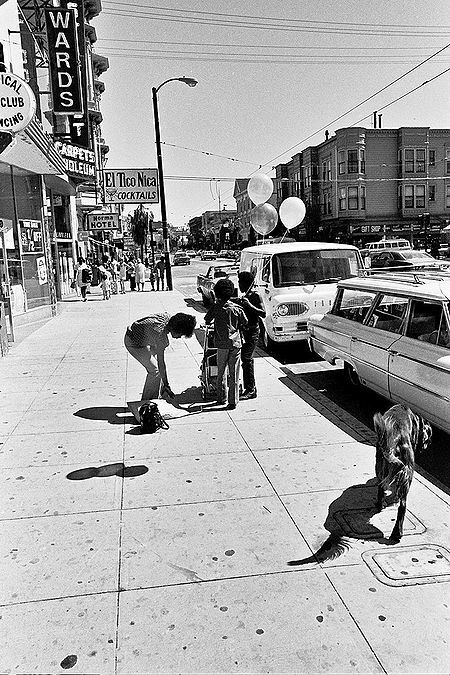 This might be one of the best corners to see the unfolding of gentrification in the Mission in a rather short time. 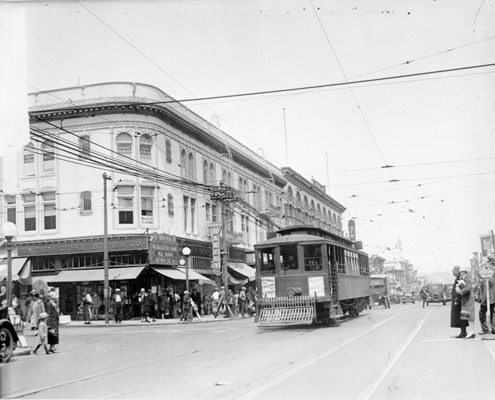 Northerly view on Mission at 22nd, 1924. 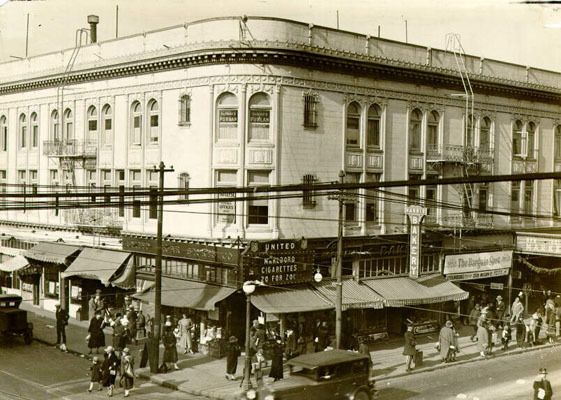 Mission and 22nd, northwest corner, December 11, 1926. 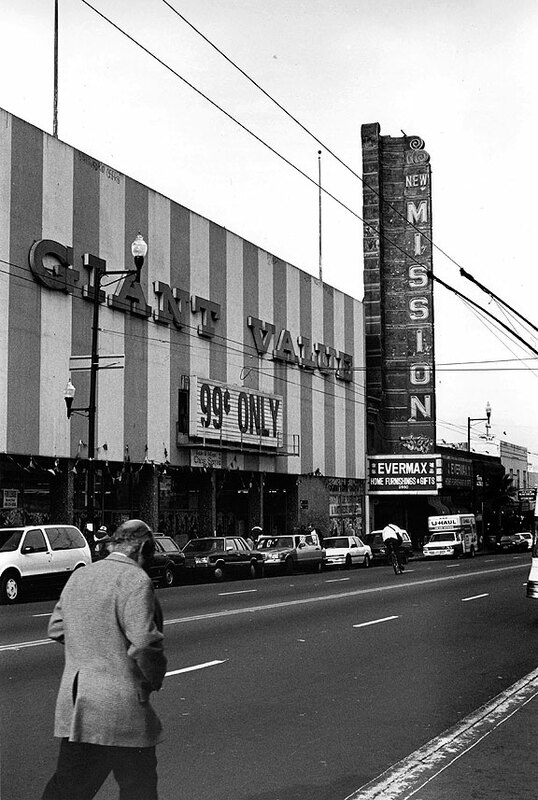 New Mission Theater and Giant Value, c. 1970s. 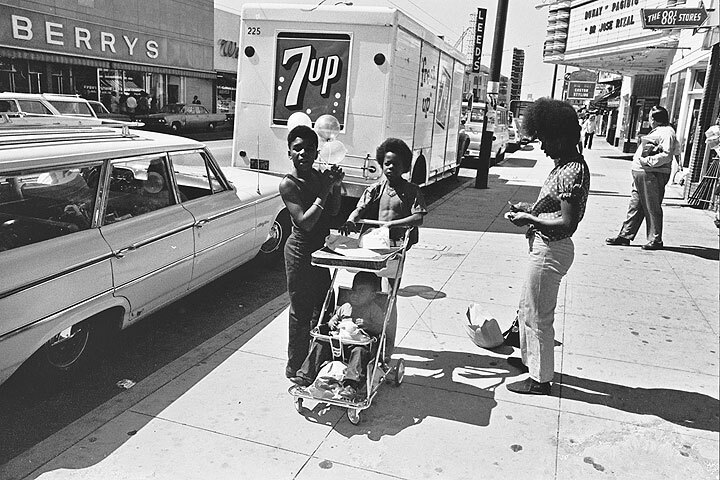 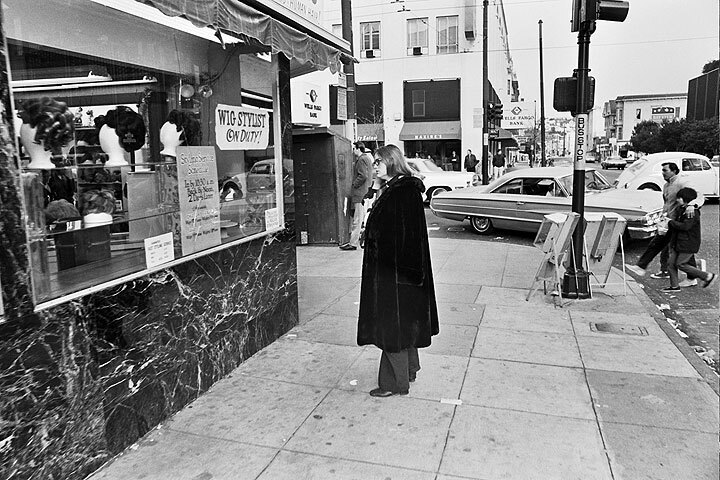 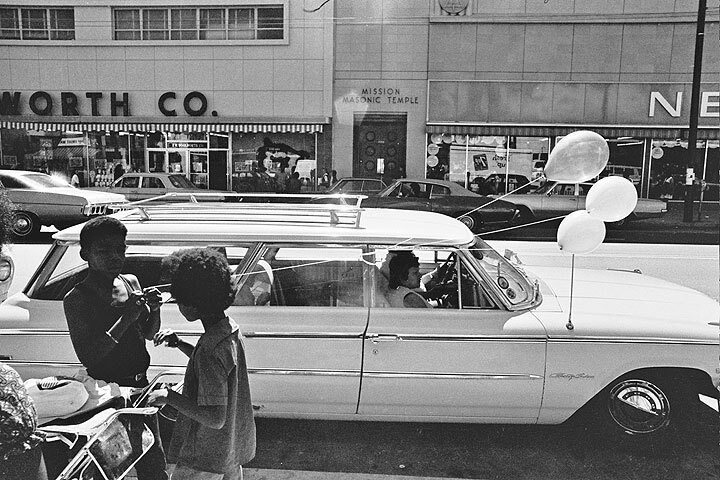 22nd and Mission looking east at wig stylists, c. 1966.